Class Tech Tips: 9 Ways to Get Every Student Tweeting… Even in Kindergarten! Are you making learning experiences authentic for students? 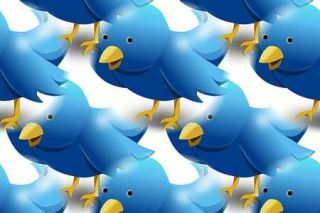 Twitter is a powerful tool for teachers. I’ve used it to connect with teachers around the world, discover new teaching strategies, and share my favorite resources. Earlier this year I shared the Evolving Educator Team’s 140 Twitter Tips for Teachers a fantastic book for teachers looking to master this platform for professional learning. If you want your students to start tweeting, there are lots of ways to incorporate this social media platform into your classroom. Older students might have their own Twitter account and post reflections to class discussions online. Younger students can participate in Twitter-inspired activities or contribute ideas to their class Twitter feed. Incorporate Twitter into English Language Arts and Social Studies lessons by asking students to create a Twitter profile for a character of a book or figure from history. You might ask students to simulate a conversation between two characters in classic literature, or a conversation with a past president with a contemporary figure. Hashtags are often used as call to actions or a way for spark a conversation on a topic. Choose a relevant hashtag like #HerStoryCampaign and have students generate tweets you can post to a class account. A few years ago I shared a post titled “Tweeting the Read Aloud” on Edutopia. Twitter is a great way to connect your students with experts and authors from around the world.